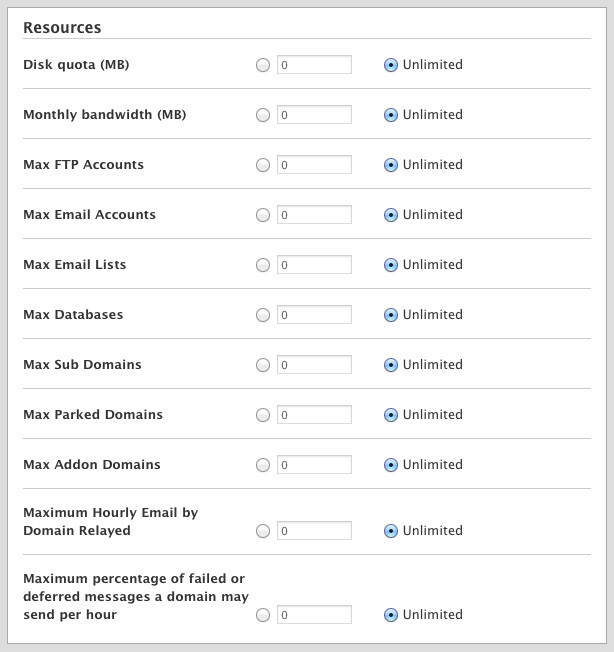 To help maintain stability or to set tiers for your clients or your separate websites you will want to create packages which will set limits for the cPanels that you assign to it. 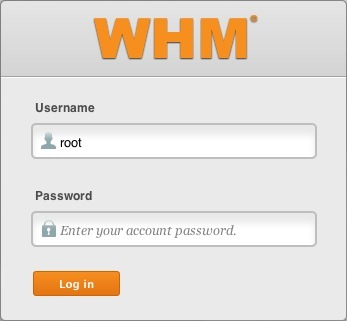 This tutorial will help guide you through the steps of how to create a new package through the WHM. In the Package Name section choose the name for the new package. With the Resources section the resources that you would like to have the package us. 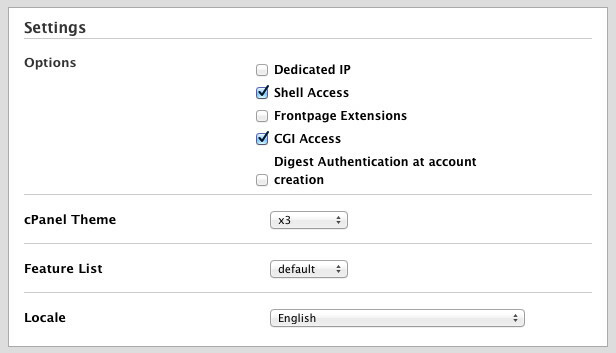 Under the Settings section choose the extra cPanel features that the account will have access to.